Manager of new hotel hopes building will become "iconic"
College football fans driving into Downtown Dallas can't help but notice the massive Texas and OU signs rotating around the Omni Dallas Hotel. "This is really cool," fan Laura Gentry said. The convention center hotel isn't open yet, but its general manager, Nils Stolzlechner, is testing out the 3.5 miles of LED lights that surround its exterior. "[They] just really emphasize the skyline of Dallas," he said. "When you drive in, just to make Dallas look more exciting than it already is." 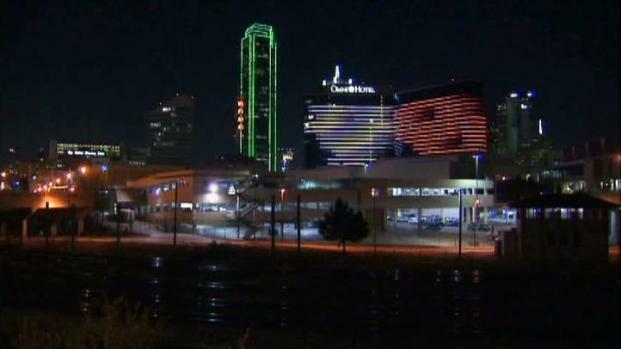 The Omni Hotel won't open until next month, but it's already getting into the spirit of the annual Red River Rivalry. Stolzlechner said while Dallas is one of the largest cities in the nation, its skyline is lacking. He said he wants the Omni to become the next iconic building in Downtown Dallas. OU fan Steven Carter said the building immediately stood out to him. "It really makes me want to stay there, [I'm] not going to lie," he said. "I just think it's really unique. All hotels are really similar, but [the lights] kind of make it unique, kind of adds a new atmosphere to it. And it's close to the West End, where everyone wants to be." 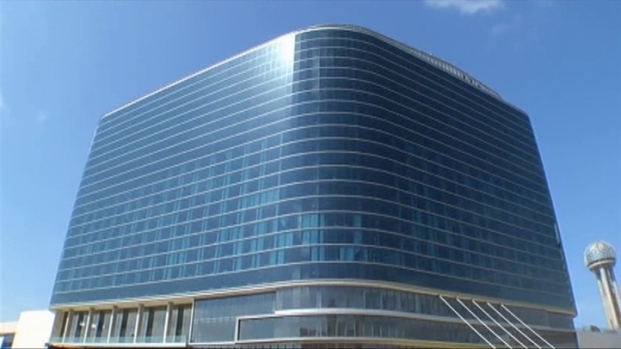 The Omni Dallas Hotel is well on its way to being finished ahead of schedule. The Omni is scheduled to open in early November.